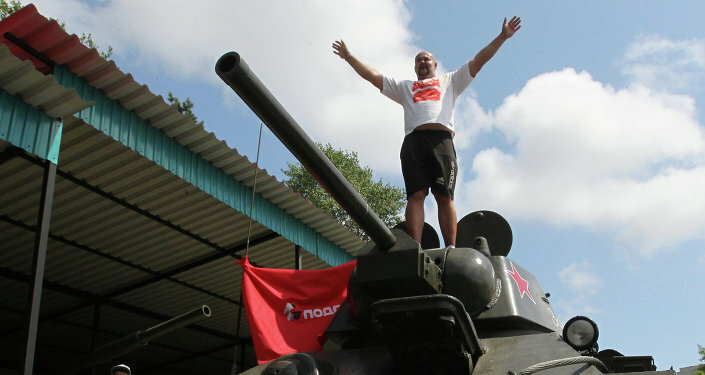 Russian muscleman and Guinness World Record holder for towing a 365-ton train upped the stakes on Tuesday, towing a T-34 truck to set a new record. 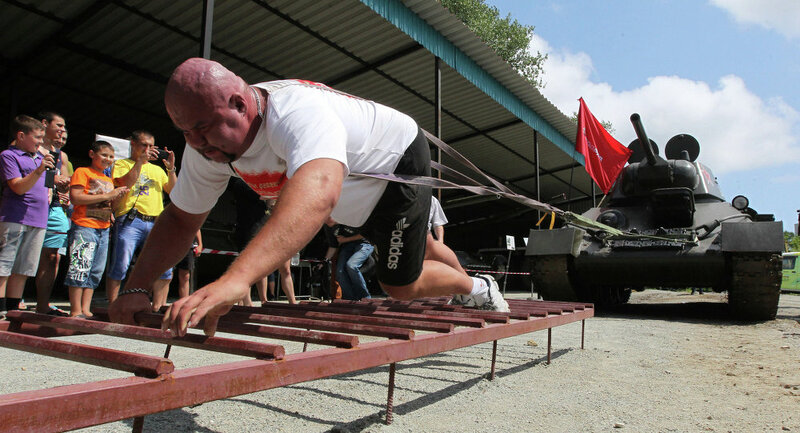 One of the world's strongest "human tow trucks," Vladivostok resident Ivan Savkin moved a 26.2-metric-ton T-34 tank over six meters on Tuesday, setting a new world record. Savkin previously moved other vehicles, such as a 365-ton train, but said that the tank, which is treaded rather than on a railway, was his biggest challenge yet. "On the first day I was able to only move it a couple of centimeters. The difficulty in moving it is that the tank is on a dirt road because due to the treads we would simply break the asphalt. The mechanism is 75 years old, and of things I have moved, this is the heaviest. Trains don't hold a candle to it," Savkin told Primorye24 news agency. Before moving the tank, the treads were washed with water and a special ladder was put in front of it to provide Savkin with a source of traction. The first several attempts did not yield many results, but Savkin did persevered and went on to pull the tank an entire six meters. Savkin's previous records have included pulling a 1,150-ton ferry as well as trucks and other heavy equipment. Savkin previously told Russian lifestyle site Peoples.ru that he grew up a frail child, weighing only 57 kilograms (125 pounds) despite being 192 centimeters tall (6 feet 4 inches). Savkin then began exercising, taking on weightlifting, but it was powerlifting that changed his life.